The Mini Pak’R Retail air cushion machine is a smart solution for small users. The Mini Pak’R is a small and simple air cushion machine that makes it possible to produce air cushions where and whenever you want. FREE TRAILS AVAILABLE. Mini Pak’r Air Cushion Void Fill Machine. Create Your Own Bubble, with our Air Cushion Void Fill Machine. 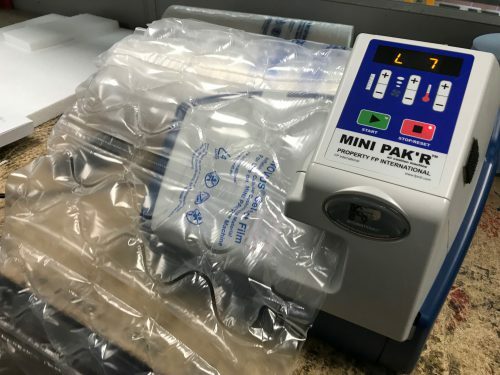 The MINI PAK’R® Air Cushion Void Fill Machine is ideal for E-Commerce, Ship-from-Store Programs, Pack & Ship Stores, and Small business and everything in between. Increase floor space while reducing headaches and carrying costs associated with storing bulky bags of packaging peanuts, boxes of bubble wrap, and heavy rolls of paper. Save time and create your own bubble packaging on demand, whenever and wherever you need it. Ideal for both experienced and novice packers and where floor and counter space is at a premium. 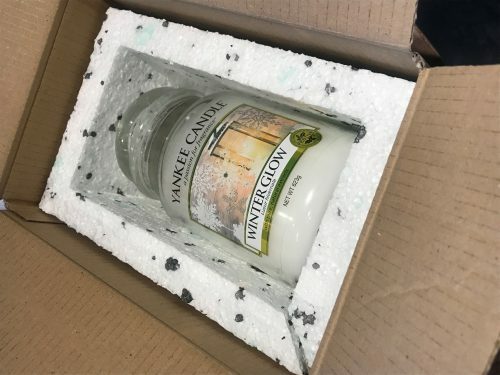 Used and trusted by the world’s largest parcel delivery companies. Backed by a world-class customer service team and supported by the industry’s strongest warranty. The MINI PAK’R® is the best choice for your protective packaging needs. The Mini Pak’R air cushion machine is a smart solution for small users. It is a small and simple air cushion machine that makes it possible to produce air cushions where and whenever you want. Easy to use: Plug in the socket, place a roll of film and the machine is ready for use. The Mini Pak’R uses ambient air to produce air cushions. Easy to integrate: With dimensions of 36 x 33 x 28cm and a weight of only 6 kg, the machine fits almost anywhere and is easy to move. 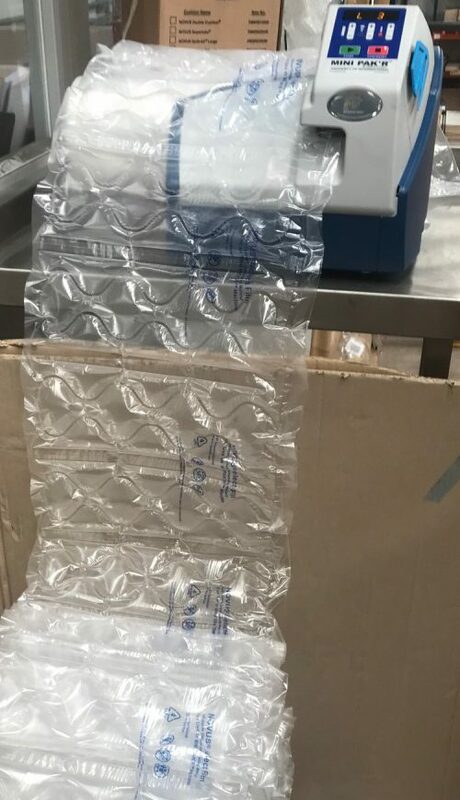 You save storage of voluminous packaging materials such as bubble wrap. Versatile: With a speed of 7.5m per minute it produces air cushions that can be used for different purposes; such as void fill, wrapping and corner protection. Surprising technology: RFID (Radio Frequency Identification) technology, the machine automatically selects the appropriate air and temperature settings for the film you have chosen. 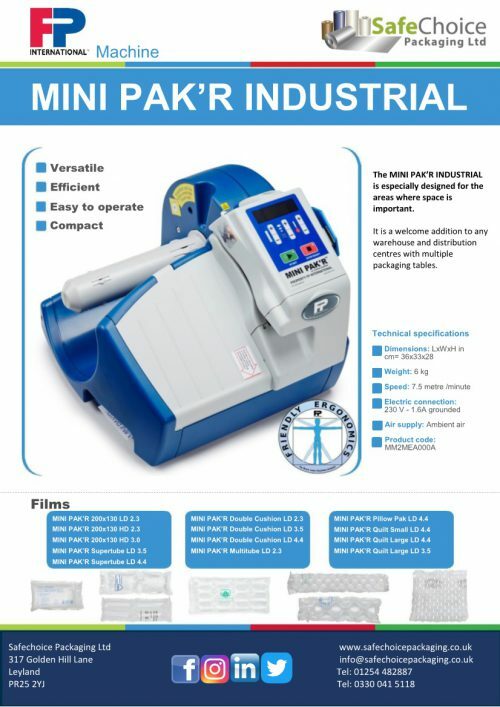 Get your Mini Pak’r machine FREE depending on usage. Call for more details and a FREE Trail, we will save you space, money, waste as well as supplying great protection for your products.